"Take pride in rural Ulster"
Born Fighting - programme one - a short review. The Gospel Coalition is an international network of rock-solid Christ-centred churches and organisations. For those of you who got in touch following a few recent blog posts here about how Jesus can be found throughout the Bible, and not just the Gospels or New Testament, this three day conference, entitled 'They Testify About Me: Preaching Jesus and the Gospel from the Old Testament' will be of interest. With 70 speakers, including Mark Driscoll, Tim Keller, John Piper, Mark Dever, Alistair Begg, our own Keith & Kristyn Getty, Craig Dyer, Darrin Patrick (who I've blogged about before with this hard-hitting video which shook a few of you who emailed me about it), and Russell Moore - it's an astonishing line-up of probably the best Gospel presenters in the world today. It's just a shame that it's in Chicago! For those of us who can't go, this list of resources (workshops, books, videos, articles and sermons) looks like a brilliant introduction to the subject. Craig Dyer is one of the speakers at this year's Keswick at Portstewart convention in July, so maybe he'll be touching on some of the same themes when he's over here. There are quite a few UK churches in the Gospel Coalition (directory here), including Ballykeel Presbyterian in Ballymena and Greenwell Street Presbyterian in Newtownards - Graeme and I have played/sung in both (to the best of our limited abilities). Regular readers will know that Greenwell Street is close to the site of the original 1620s Montgomery school in Newtownards where John McLelland was the principal, and occasional lay preacher. Famous people still attend Greenwell St today! Last Autumn, I was invited to take part in an event at BBC Northern Ireland, as a discussion session about Ulster-Scots and broadcasting. The audience was made up of the local independent television production sector (I blogged about the event here.) The Fund itself comes from the Department of Culture, Media and Sport in London, is set at £1m per annum for five years, and will be administered through Northern Ireland Screen. Just before Christmas N.I. Screen invited me to join the Committee, for an initial 2 years, which will oversee the Fund and the programmes which it decides to support. I've accepted this role (unpaid!) and am very much looking forward to seeing the proposals which are brought forward, and to working with such a professional, experienced organisation as N.I. Screen. As such, I have declined a number of approaches from tv companies to assist with their programme proposals. Submissions are to be made by 4th March. • NI Screen information about this first call for proposals is available here. • BBC Northern Ireland has published guidance for independent producers which is available here. This book offers the first complete overview of the intellectual history of one of the most significant contemporary cultural trends. In the early seventeenth century, European evangelicals recovered those expectations of an earthly golden age that had been deemed heretical by medieval and reformation theologians. Throughout early modernity, and across the spectrum of evangelical belief, these millennial expectations were deployed to mount a series of radical critiques of church and wider culture. In modernity, these expectations were appropriated by religious and cultural conservatives, who found in millennial theology the framework of their hostility to an unbelieving world and a rationale for their critical engagement with it – a critical engagement that ranged from an attempt at the wholesale reconstruction of a Christian society to an expectation of its imminent and catastrophic demise. This account guides readers into the origins, evolution, and revolutionary potential of evangelical millennialism in the trans-Atlantic world. It's a contentious, yet deeply influential subject. Particular denominations embrace it, others reject it. Some individuals spend more time trying to work out which emerging world leader might be Antichrist rather than getting to grips with Christ! Some prefer to speculate about the future rather than to understand, and apply, the lessons of the past. Talking to a Presbyterian friend the other day, he said that his church was about to begin a study on Daniel. Unable to resist a bit of theological banter, I said "Great - will you be getting stuck in to the 70 weeks? ", to which he laughed out loud and said, "No, we'll be sticking to the bits that are true, none of that other nonsense!". Philip Thompson tweeted a quote from Alastair Begg last week: "chronology - theology = mythology" !. There's so much divergence within the Protestant denominations that sometimes I wonder if the all-embracing term is even useful any more. 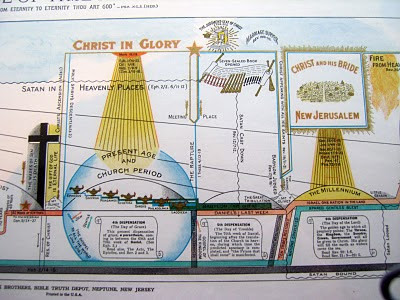 But the big charts and diagrams are visually brilliant - I remember seeing a hand-painted one in a mission hall about 30 years ago that was so big it filled the entire back wall and stretched round the corner onto one of the side walls too. A detail of a printed one of mine is below. Click to enlarge. There are probably a lot more that I'm not aware of. Luther, Wycliffe, Calvin, Tyndale and Knox all benefitted from the new communication technology of their time, which was of course the printing press. It's good to see that attitude still at work five centuries on. Found this great photo on Flickr today. This year is the 400th Anniversary of the publication of the King James Bible. The book shown here, by Adam Nicolson, has been recommended to me by a friend who works in the broadcasting industry here in Northern Ireland. I haven't bought it yet, but I have listened to his other recommendation - a podcast of Nicolson giving an amusing, engaging and informative talk on the subject, which is available FREE here on iTunes. Here's a short interview that Nicolson gave to PBS about the book. Blogging is a funny thing. I've had enquiries this week already from a man in Australia trying to locate old recordings, a man from Scotland trying to find an old poem, two people looking for family tree information, and an enquiry to give a presentation in the Autumn about new media as a communications tool. They're the nice ones, which show that the casual 'plooterin aboot' that this blog is can actually have some positive benefit. Then are the strange oddballs who monitor every word, who poke around here and on various associated blogs, and who then concoct dark shadowy theories about some mysterious hidden agenda. I know of a handful of such people who hoke around here, and there are probably more. A normal body would make direct contact and get to know you over a pot o' tay, but then again these maybe aren't normal folk. So, whoever's out there, if you want to get in touch please do. I'm out and about most weeks, so I can meet up any time. And when I'm at home the kettle is usually on and the door is usually open. But then again if you'd prefer to make things up, then fire away. It'll be more interesting than the mundane reality anyway. The best packaging design I've seen in years; with thanks to Glen. "...Our Scots-Irish ancestors brought their knowledge and skills of whiskey-making with them as they came to Appalachia. Conditions in the area were good for growing corn, but it didn’t take long to realize a lot more money could be made off of a gallon of corn liquor than a bushel. Once the law began cracking down on the industry, the nature of our people and the rugged mountain terrain made way for the hay day of bootlegging..."
"...We practice selective annihilation, of mayors and government officials for example, to create a vacuum. Then we fill that vacuum..."
The title above is a line from the Guns N Roses song Civil War, which was released in 1990 on a Romanian orphan charity fundraising album called "Nobody's Child". They were the biggest rock group in the world at the time; the line was borrowed from a speech made by a South American dictator. Up until this point, the majority of Guns N Roses' songs had been about their hedonistic lifestyle, so to suddenly hear them tap into current affairs and politics was a bit of a shock. I was just 18, but having grown up during 'The Troubles' I had a fair idea that the neatly-packaged evening news broadcasts didn't always tell the full story - whether about events here in Northern Ireland or on the other side of the world. As ripples of revolution rock the Middle East, firstly in Egypt, now in Libya and Bahrain, there has been some scepticism about the risings, and whether they were spontaneous at all - or whether they might have been carefully co-ordinated with Western assistance. Or maybe that the West has spent years propping up the very régimes which, in the face of sudden, high profile public protests, they now so quickly disapprove of. In May 1842, the 75-year-old former President Andrew Jackson (1767-1845; pictured left in a photo taken in 1844) whose parents had emigrated from Carrickfergus in 1765, was being lobbied by an Irish-American organisation called the Irish Repeal Association of New York. They were seeking his support for their political objectives back in the "old country". In a letter of reply to the organisation, Jackson, whilst acknowledging 'the Irish blood which flows in my veins' *, skilfully avoided becoming drawn into overseas issues. He wrote of '... that maxim which teaches us not to interfere offensively with the internal affairs of other nations. The preservation of the principle on which this maxim rests is far more important to the good of mankind than any benefit which can possibly be obtained by a departure from it ...' Jackson went on to say that representative government in Ireland should be achieved 'without violence or civil commotion', based squarely upon 'the will of her people'. Jackson died before the United States descended into its own civil war; April 2011 sees the 150th anniversary of the Civil War (aka the War Between the States or the War of Northern Aggression). The anniversary has been turned into a major tourism opportunity over the next few years. We can speculate of what Jackson would have made of the American Civil War, or of present-day American and British foreign policy. * I would suggest that Jackson was speaking geographically rather than culturally. These and more are available here. No offence to those in Co Tyrone, but the "Strabanistan" one is superb. (Lifted from Ultonia.) I didn't watch the Superbowl so I missed this ad. It's a great example of how a product (in this case a car) can be packaged and sold through a set of emotional values, a personality, rather than through its rational, functional characteristics. UPDATE: The pics below, of King William Park in Belfast (near the Moravian Church at the end of the Lisburn Road) are posted as a follow-up to the comments from "Napalm". I worked close by for about 10 years. Click to enlarge. A riveting account of William of Orange's "Glorious Revolution" can be found in US political journalist/commentator Michael Barone's book "Our First Revolution: The Remarkable British Upheaval That Inspired America's Founding Fathers"- available here on Amazon. Irish history often reads better in the hands of someone who's not stuck in the usual Hibernocentric mindset. When you hear or read of the old-time stringed music of the early 20th Century, it is of course the American artists that spring to mind. They were recorded and popularised on 78s and in the early days of radio - the record companies became professionalised and their musicians quickly became "golden geese" who were marketed, photographed and written about with care - selling millions of records and becoming multi-million dollar moneyspinners. In 1932 and 1933 they played on BBC Radio on a late night slot between 9pm - 10pm. Willie Gamble also made two dulcimers; during WW2 the Gambles were evacuated from Belfast to Newtownards, but upon their return to Belfast the dulcimers had become the home for an infestation of woodworm, and so were thrown out. However, the hammers have survived and are still with the family. The BBC Archive at the Ulster Folk and Transport Museum doesn't hold any recordings of The Harmony Trio, so apart from photographs, clippings and memories that the families still have, nothing remains. Most Ulster-branded "stuff" is rubbish. A lot of Scottish-branded stuff is rubbish too. This is how to do it right in 2011. The portrait shown here is of Edward Livingstone. His great-grandfather was Rev John Livingstone, who had been one of the four Presbyterian ministers to commission the ill-fated emigrant ship Eagle Wing, which famously failed in its attempt to carry 140 Ulster-Scots emigrants to a new life in the New World in September 1636. • John's grandson, Philip Livingstone (1716-1778) signed the American Declaration of Independence. He was Presbyterian and you can bet that the Covenants coursed through his veins - his grandfather had carried a copy of Scotland's National Covenant (1638), non-stop on horseback, from Greyfriars in Edinburgh to London for like-minded Scots to sign it. • John's great-grandson, Edward Livingstone (1764-1836), shown here, was Andrew Jackson's Secretary of State. Jackson's parents had left Boneybefore, Carrickfergus in 1765. Edward Livingstone was a close friend and ally of Jackson's for over 30 years. I wonder, through those 30 years of friendship, if Jackson ever gave Livingstone any stick for his great-grandfather failing in the voyage, from Belfast Lough to America, that Jackson's parents later succeeded in? Pictured left: Harnen Stand, Ulster Folk & Transport Museum. "...If rural England, rural Wales and rural Scotland find it very much worth while to devote so much attention to the development of rural craft industries surely it can be argued that a predominantly rural community such as ours would find a similar interest even more profitable? We are convinced that this is a field in which immeasurably valuable work is waiting to be done. What is wanted, apart from some degree of practical assistance from Government, is goodwill and enthusiasm from all who take pride in rural Ulster and its way of life and its wonderful traditions..."
Q: When do you think the above excerpt was written? d) 2010 in a government report on diversification, ecology and the "green economy"
UPDATE - the answer is of course (a). The excerpt is from "Ulster's Rural Crafts" published by E.T. Green Farm Stock Foods for the Balmoral Show in 1952. I wonder what the author thought during the following decades as they watched cottages being bulldozed, stone gate pillars being replaced by concrete posts, five bar gates replaced by galvanised versions, all accelerated by government policies and the small print clauses of grant schemes?. "Born Fighting" on UTV was superb tonight. Senator James Webb (shown here with some other man who I think I've seen before somewhere) is a marvellous ambassador for our story. Despite the many critics, cynics, apathetics and outright opponents who have done their best to silence it, Ulster-Scots awareness is steadily moving back to where it should be - right in the mainstream of life in Northern Ireland, and perhaps as the most dominant and dynamic element within our cultural life. "...in Ireland, because of the recent troubles, things just seemed to boil down to between Catholic and Protestant, rather than really examining the cultural differences, so it just sort of got lost..."
The 2-D Irish v British political glasses that most people still wear don't provide the true 3-D English+Irish+Scottish cultural view. The beautiful town of Langholm in the Reiver country of the Scottish Borders is nicknamed 'The Muckle Toun' and is perhaps best known as the birthplace of poet and Scots language activist Hugh MacDiarmid (real name Christopher Murray Grieve). The last time I drove through there were some large entrance signs commemorating this connection. Langholm is also the southernmost point of one of the most beautiful driving routes in the British Isles - the A7 through the Borders to Edinburgh, which has some stretches which are just as spectacular as the famous Skyline Drive in Virginia. A lesser-known Langholm man, David J Beattie, first came to my attention when I was sent photocopies of a small gospel song book entitled "Songs of the King's Highway", a collection of 77 songs he had written which was published by Pickering and Inglis. It was undated but from the typographic style it looked to be from around the late 1920s or early 1930s - the same era when Pickering & Inglis first published the mighty hymnbook Redemption Songs, and also Duncan McNeill's Hymn Book. Seven of the pieces in Beattie's book were in light Scots rather than standard English, and I have posted them over at Sacred Scotch Solos. I picked up an original copy of the book a few years ago, and to my surprise inside was a pencil inscription "Author's copy, Beattie lived in Carlisle", along with Beattie's signature. In the introduction Beattie describes the American hymnwriter Charles H Gabriel as his 'intimate friend', to whom Beattie 'owed much for help and encouragement during many years of close friendship'. Gabriel wrote three melodies for the book. There's an article here entitled 'Langholm's Forgotten Son' which summarises Beattie's life. He and his brother joined the family stonemason/monumental sculptors business in 1898; during and after the two World Wars the firm was responsible for many war memorials in the south of Scotland. He belonged to the (Plymouth) Brethren and wrote occasionally for the Brethren publication The Believer's Magazine, including articles about Scotland's 1859 Revival. Even though Brethren assemblies/halls had begun in Plymouth and Dublin among (affluent) disaffected Anglicans in the early 1800s, it was post-1859 Revival working-class Scotland and Ulster that was a seedbed in which they really flourished. Beattie's historical account of the growth of the Brethren movement, entitled Brethren - The Story of a Great Recovery (published by Brethren publisher John Ritchie of Kilmarnock in 1939, who also printed some of my grandfather's poetry, is freely available online here), carefully details the intimate connections between the halls of Scotland and Ulster. It tells the stories of men like Jeremiah Meneely, so closely associated with the initial Kells and Connor epicentre of the Ulster 1859 revival and who later led evangelical missions in Ayrshire and Glasgow, where his Antrim voice must have preached the hamely message of his own self-penned hymn "There's a gran' time comin, o brither dear, whun Jesus will tak us hame'. 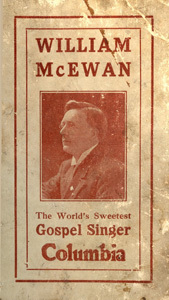 In between times Beattie wrote six other books which spanned his interests of local history, language, music, the stories of hymnwriters, as well as the history of the "wee halls" - Oor Gate En' (1915), Psalm Singing Among the Scottish Covenanters: A Lecture (pamphlet, 9 pages, Steel Bros. Carlisle 1915), Prince Charlie and the Borderland (1928), Oor Ain Folk (1933), Stories and Sketches of our Hymns and Their Writers (1934; the frontispiece photo of which is Ayrshire hymnwriter Anne Ross Cousin), The Romance of Sacred Song (1935; in the Preface of which he wrote that 'my bookshelves already groaned under the weight of volumes on this engrossing subject') and Lang Syne in Eskdale (1950). "...Among writers who laid the foundation of American Gospel hymnody the following names are familiar: W. B. Bradbury, P. P. Bliss, Philip Phillips, Ira D. Sankey, James McGranahan, W. J. Kirkpatrick, Robert Lowry, George C. Stebbins, H. R. Palmer, D. W. Whittle, T. C. O’Kane, J. R. Sweney, W. H. Doane, Fanny Crosby, E. O. Excell and Charles H. Gabriel. Of this group of sweet singers, whose songs have been carried to the ends of the earth, Mr. Stebbins and Mr. Gabriel alone remain...." - it's significant that of the 16 he listed, a quarter of them (the ones I've marked in bold) all had Ulster connections. Beattie also contributed a hymn to The Believer's Hymnbook - 'Assembled, Lord, at Thy Behest' (no 367), a book which is still used in the simple Sunday morning 'Breaking of Bread' meetings in Brethren-minded gatherings around the world; Beattie is named in the acknowledgements section at the front of the book. Beattie died in July 1964 and his funeral service was held in Hebron Hall in Botchergate, Carlisle. The stonemasonry business still operates from the same building, now under different management, but is still called Beattie & Co, shown below. If you know more about him which could be added to this post, please get in touch. It's important that we recover almost-lost history, and that the achievements of significant people from years ago are made known once more. Previous generations knew, wrote, and told our story - we need to do the same today to ensure that the scandalous cultural loss of the past is not repeated in the future. Rev William Henry Foote (1794 - 1869) is a man who could perhaps be described as the James Webb of his generation. He was born in Colchester, Connecticut in 1794. He was of English descent and could trace his roots back to Nathaniel Foote and Elizabeth Deming who arrived in America in 1633. Foote's father, Stephen Foote (1758 - 1843) had been a soldier during the American Revolution of 1776. WH Foote graduated from Yale University as a Presbyterian minister in 1819 and was installed at a church in Shenandoah County, Virginia. He spent many years on mission outreach in North Carolina, during which time he collected much local history. 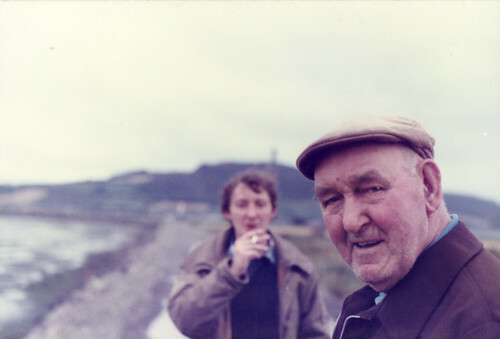 Were all born in Ireland / And came with them. In 1824 W H Foote and his wife settled in the old town of Romney in what is today West Virginia. He became minister of Romney Presbyterian Church. However, Eliza died in April 1835 and was buried in the Glass family plot in Opequon Cemetery. Her gravestone records her last words: "Tell them I am not afraid to die, it is easy to die, for a christian to die." There are other Ulster emigrants buried there, such as a James Hamilton whose gravestone states that he was originally from Tyrone. In 1838 Foote married again, this time to Arabella Gilliam of Petersburg, Virginia. "...Ulster began to send out swarms to America; shipload after shipload of men trained to labor and habits of independence, sought the American shores; year after year the tide rolled on without once ebbing; and many thousands of these descendants of the emigrants from Scotland, disdaining to be called Irish, filled the upper country of Pennsylvania, Virginia and the Carolinas. Ulster, in Ireland, has been an exhaustless hive, a perennial spring..."
There are also some chapters on Scottish history, but most of the rest of the book is made up of detailed accounts of the activities of the Presbyterian Church in different regions across North Carolina. When war broke out in 1861, Foote covered vacant pulpits in south Virginia, worked as a chaplain within the Confederate Army. Foote was buried in November 1869 at Indian Mound Cemetery in Romney, West Virginia.His 630 page volume entitled The Huguenots, or Reformed French Church was published posthumously in 1870. 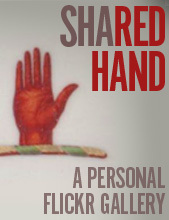 If any readers have portraits of him, or photos of his grave, I would appreciate it if you could get in touch with me. - short biography in "Yale's Confederates"
- I thought James Webb presented it very well. 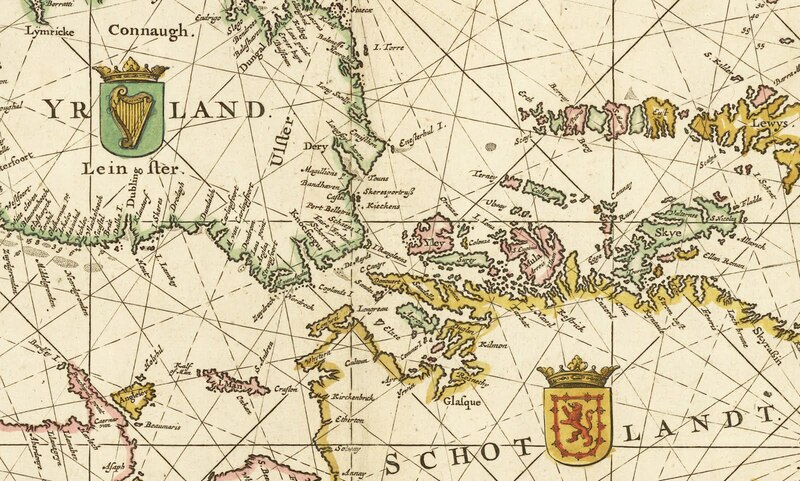 - great shame that it skipped from 1641 to 1688. 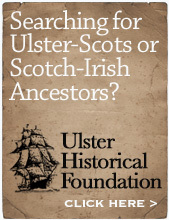 There are hugely important Ulster-Scots events in this period which were ignored. - I was disappointed at some of the comments by the Scottish academics. Qualifications and understanding are not the same thing. I've Sky-plussed it so will watch again when I get the chance. - it probably over-emphasised the periods of war and bloodshed at the expense of other themes, as well as peddle the old stereotypes about stealing land from the Irish. In the late 1500s Antrim and Down had been "wasted" and largely depopulated, and the Scots who settled here did so as a result of business transaction or invitation. And the story in the rest of Ulster was far more complex than "landgrabbing". Let's see what programme two brings. UPDATE: watch the first programme online here. The first half of this is great, and then it all gets a bit Snow Patrol-y before going back to normal. Superb.